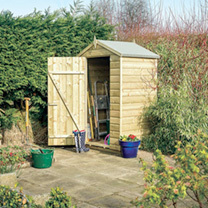 A great space saving shed to store any precious garden items safely and securely. The traditional apex roof provides plenty of headroom and includes mineral roofing felt for extra protection. 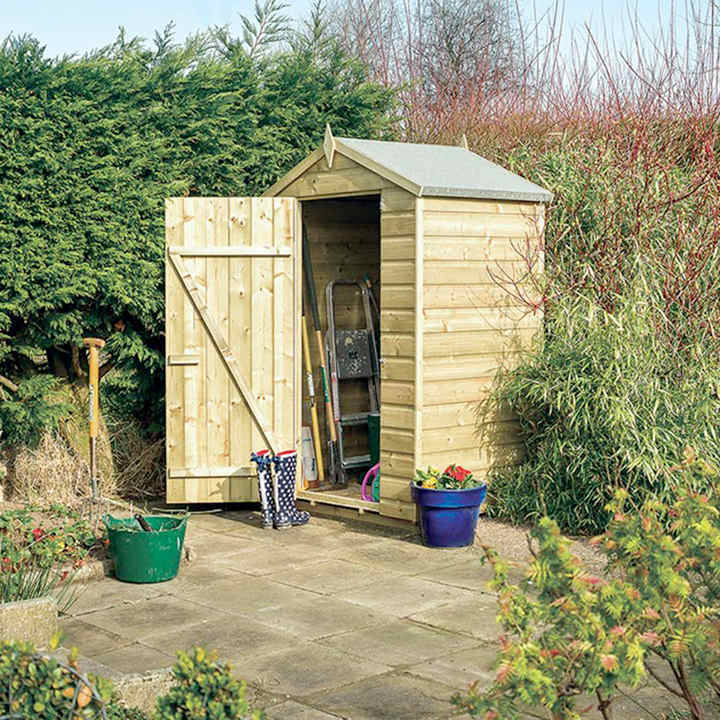 The quality 12mm shiplap cladding is pressure treated against rot to ensure the shed lasts for years. Solid board floor and roof. 195cm (77") height x 130cm (51") width x 94cm (37") depth.